Free Shipping Included! 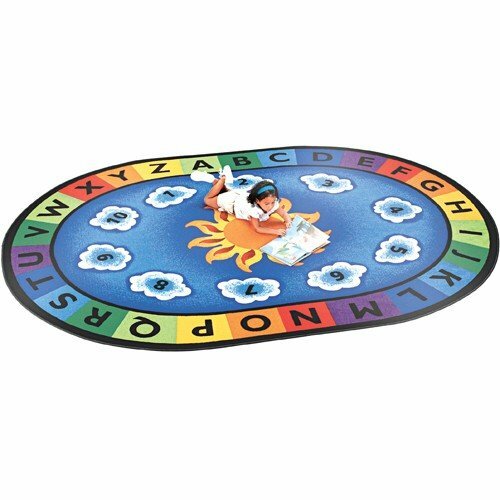 Save 1% on the Constructive Playthings Sunny Days Oval 6'9'' X 9'5'' Learning Rug by Constructive Playthings at Doctor Joe Says. MPN: CKD-445. Hurry! Limited time offer. Offer valid only while supplies last. For reviewing the Alphabet with the aid of a Rainbow border of letters, counting to 10 with numbered Clouds or just coming together for circle time. For reviewing the Alphabet with the aid of a Rainbow border of letters, counting to 10 with numbered Clouds or just coming together for circle time. This 6'9" x 9' 5" Rug has cut pile, stain-resistant, nylon construction features double stitched, Surged edges and an antibacterial treated, kid ply backing. Meets NFPA 253, Class I fire Code requirements. If you have any questions about this product by Constructive Playthings, contact us by completing and submitting the form below. If you are looking for a specif part number, please include it with your message.